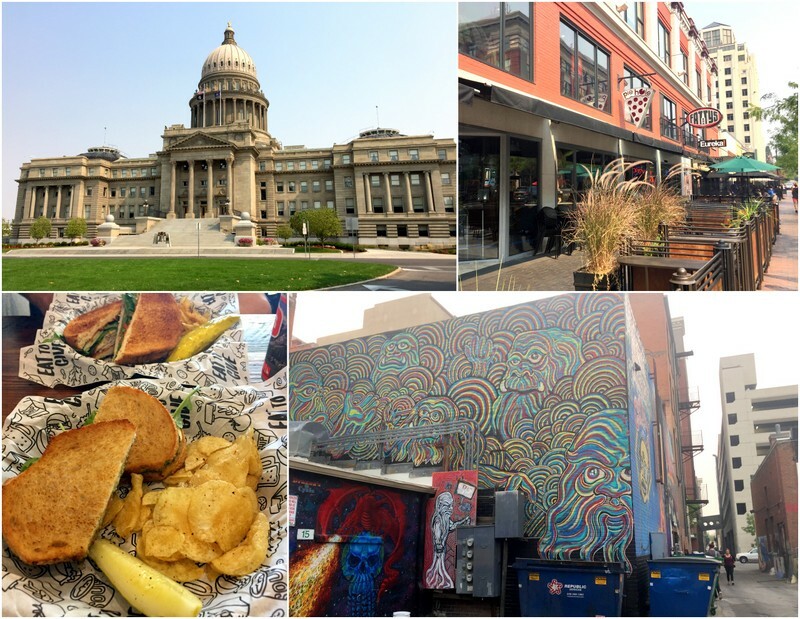 A trip to Idaho’s capital city had been on our minds all summer. 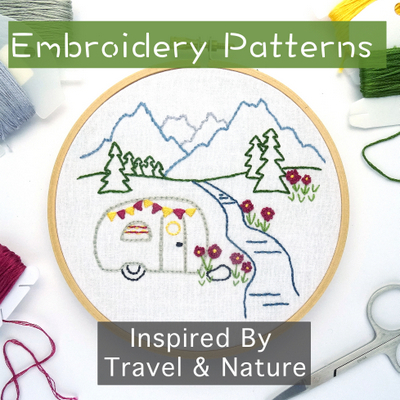 After reading multiple blog posts and seeing Instagram photos from so many of our RVing friends it looked like a place we would enjoy. The problem with visiting Boise in the summer is that it’s hot. The first time we thought we might go was at the beginning of July. We monitored the weather for a week and it was over 100 every day. Umm..no thanks. So we waited. We waited all the way until the first week of September and it was still in the upper 90s! It was also very, very smoky. To the point where a hazardous red flag air quality alert was issued for most of our stay and for a few days the sky was covered with a thick blanket of gray smoke. Thankfully, by the end of the week, the temps had cooled and the sky had cleared somewhat, but it still wasn’t the most optimal time for a visit. I’m not sure if it was the heat and smoke that clouded our view, but we left Bosie feeling underwhelmed by the city. Sure, the Greenbelt was awesome (best part of our stay for sure), we enjoyed some good food downtown, the beer scene was vibrant, and the Saturday farmers markets yielded several bags of delicious local produce, but it really didn’t stand out from other mid-sized cities. And now that I’m looking back on it, I guess I’m not sure why we thought it would. Despite the fact that we didn’t fall madly in love with Boise, our week long stay was still very enjoyable. 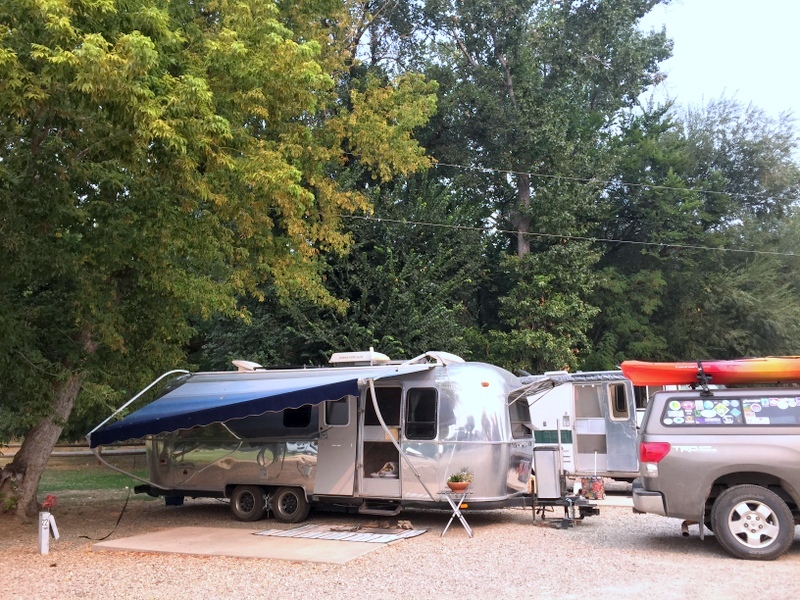 We parked ourselves at the Boise Riverside RV Park in a partial hook-ups spot that backed up to a large strip of grass separating our site from the Greenbelt. We had a tree for shade and an electric hook up to run the A.C. so even with the hot temps we stayed very comfortable. I’m glad we followed the advice of our friend Jill and bypassed the full hook-up sites. They were all arranged in the middle of the park with no shade, and only a few had a small strip of grass. After months of no hook-ups, I’m sometimes enticed into thinking that full hookups will make life so much grander. But the reality is that for a week-long long stay in a park that has free, clean hot showers we really have no need for a sewer hook-up. I would much rather have a nicer site than the ability to use unlimited water. Much of our week was spent running around doing various errands. The last time we were in a city was back at the end of May when we went through Denver. Needless to say, a major re-supply was in order and we visited what felt like every store in the city at least once. After spending a whole month in Stanely where the grocery selection was at the whim of the two tiny, locally owned stores, I also desperately needed to re-stock the pantry and luxuriated in the selection of Whole Foods, Natural Grocers, and Fred Myers. Am I the only one who really loves grocery stores? Necessary sustenance for errand day – Have you tried Sub Zero Ice Cream? 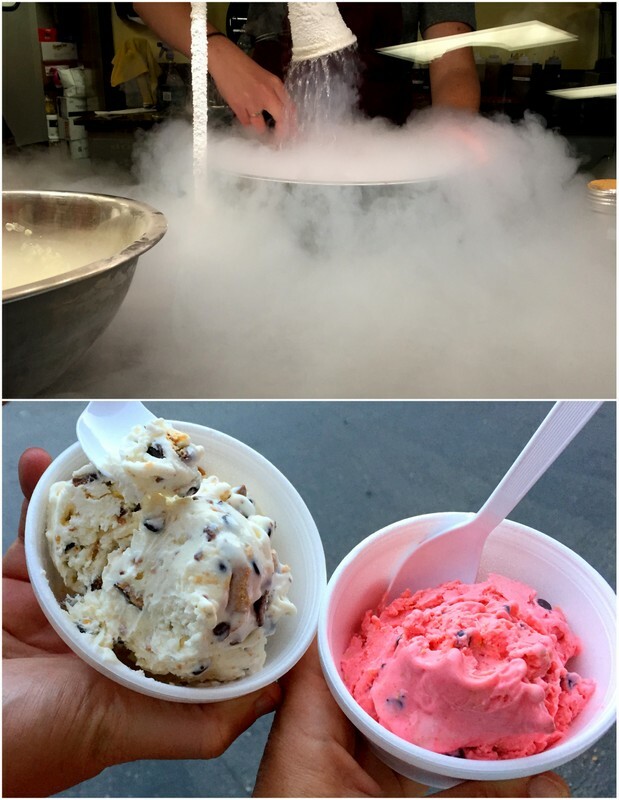 This liquid nitrogen frozen ice cream is soooo creamy and delicious! 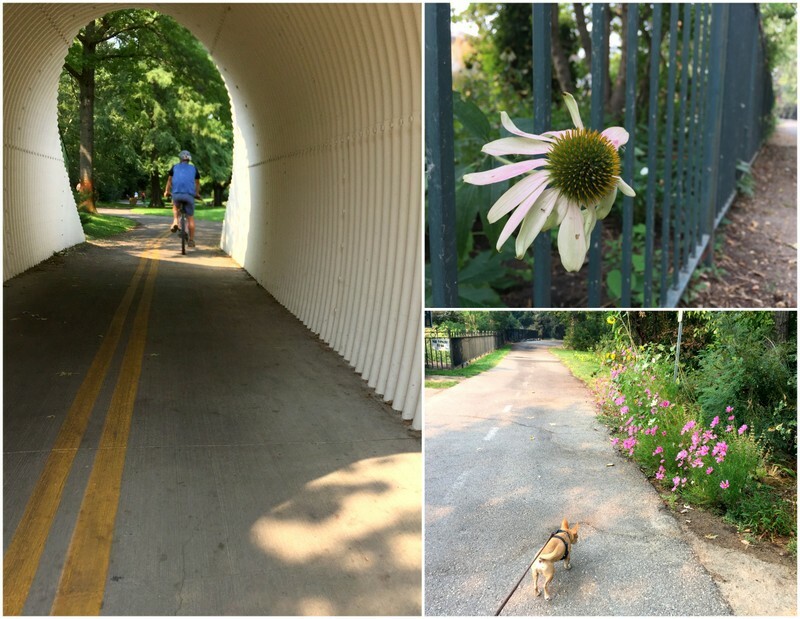 When we weren’t driving around to all the stores shelling out money, we were taking advantage of the Greenbelt to ride into and around town. Since we arrived on the Saturday of Labor Day weekend we had all day Sunday & Monday to explore. With the heat and smoke at its worst mid-afternoon, we got out pretty early both days for long rides on the path. It’s only about 6 miles to downtown Boise. One day we rode past the downtown, through a bunch of parks and along the river. The next day we rode even farther, watched the rafters on the river, and then looped back around and rode through downtown Boise. We saw the capitol building and found a delicious place for lunch called Even Stevens. Turns out this is a small chain that not only serves excellent sandwiches but also donates a percentage to the local food shelves for every sandwich purchased. They started in Salt Lake City and now have locations all over Utah, Arizona, and one in Boise. If you see one around, definitely check it out. Later in the week, we took ourselves on a mini bike and brewery tour. 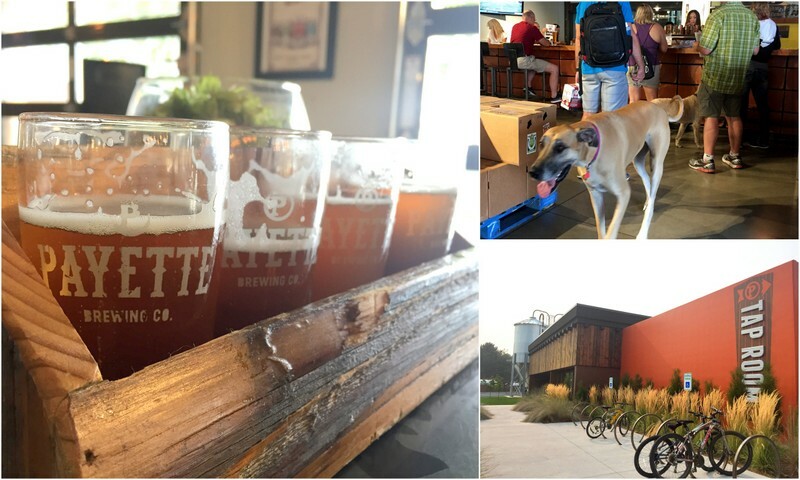 Starting at Payette Brewing where it just so happened that they were having a Yappy Hour. 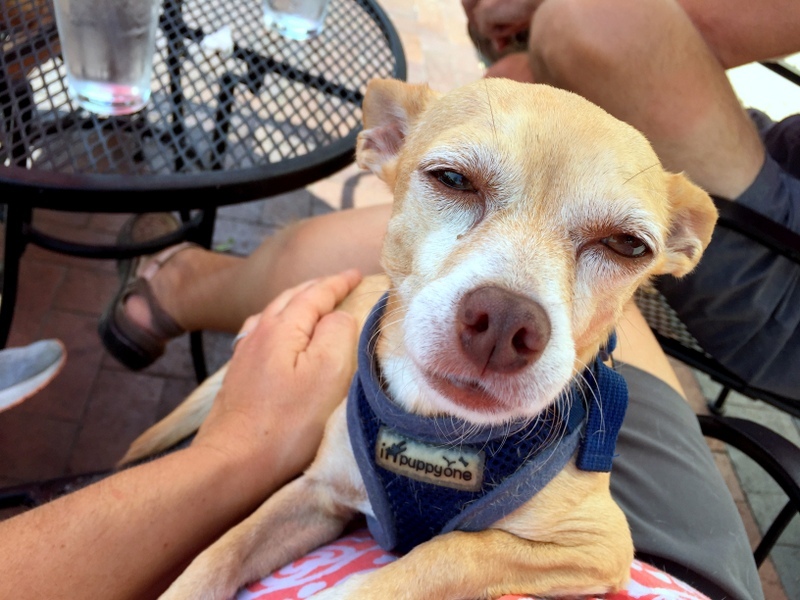 Lots of dogs were in attendance…and the beer was good too. From there we rode back over to the other side of town to check out Barbarian Brewing. 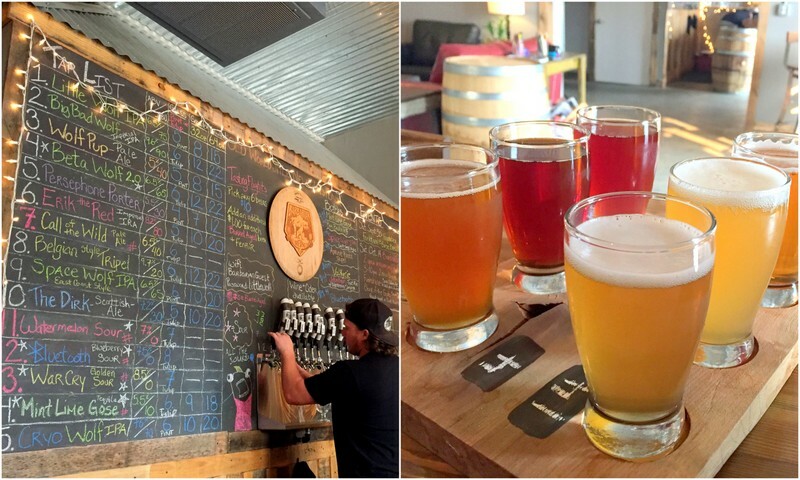 Located in a strip mall in an industrial area of Garden City, this small taproom isn’t much to look at, but the beer more than makes up for the lack of ambiance. As fans of sour beers, we were thrilled to discover that they have an impressive selection of sour and barrel-aged beers. We tried most of the sours on tap and agreed that while the watermelon sour was kind of weird (tasted like a watermelon lollipop), the blueberry sour was fruity and refreshing with just the right amount of tartness. They also have a bunch of IPAs that Tim liked, but as usual weren’t really my thing. 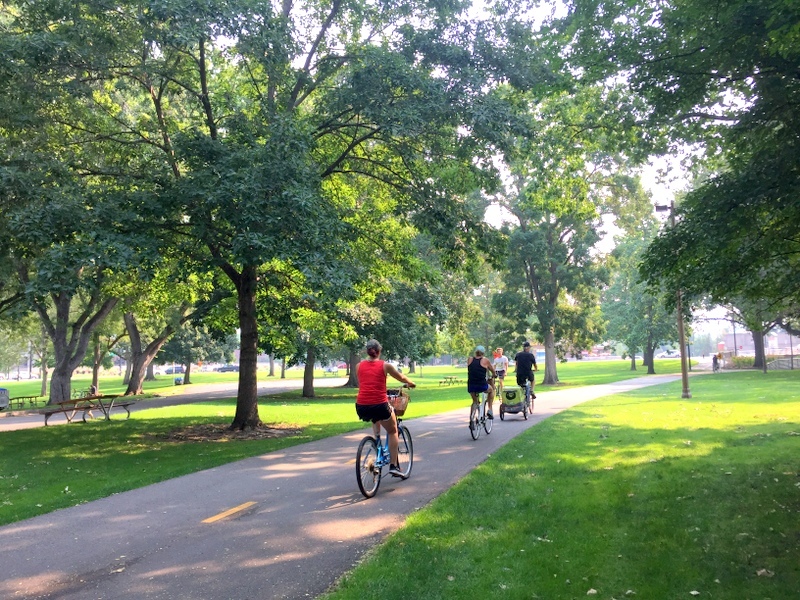 Barbarian does have a new location in downtown Boise, but if you’re staying at Riverside Park, it’s only a five-minute bike ride out the back of the park and through the fairgrounds to reach the Garden City location. 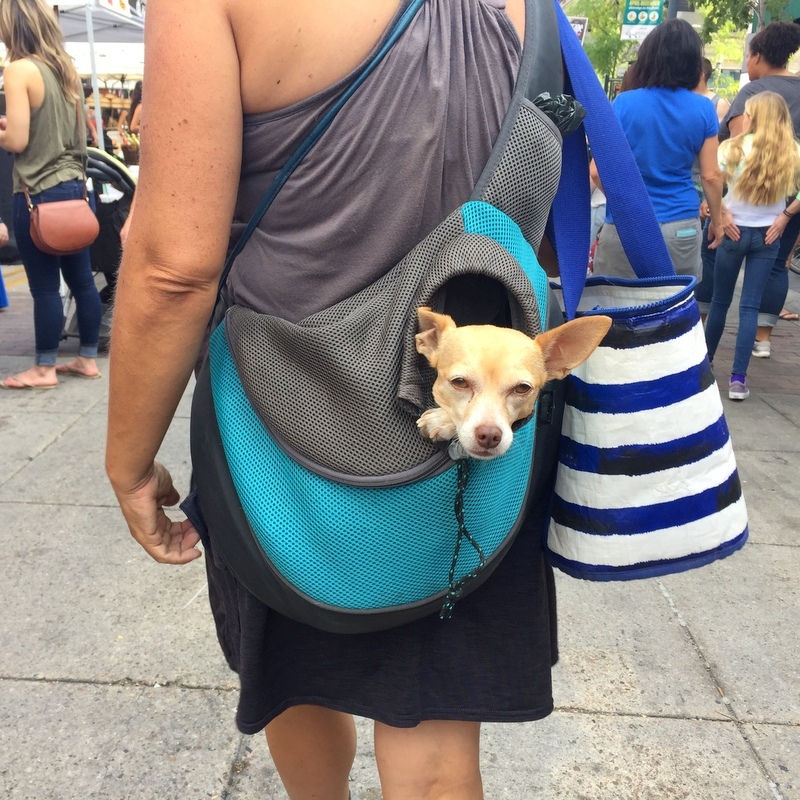 Our final day in Boise was spent at the Saturday farmers market. Boise actually has two markets located only a few blocks apart that run on the same day. In general, it seemed that the Capital City Market had more crafts and food products, while the market at 10th and Grove had a wider selection of fresh produce. 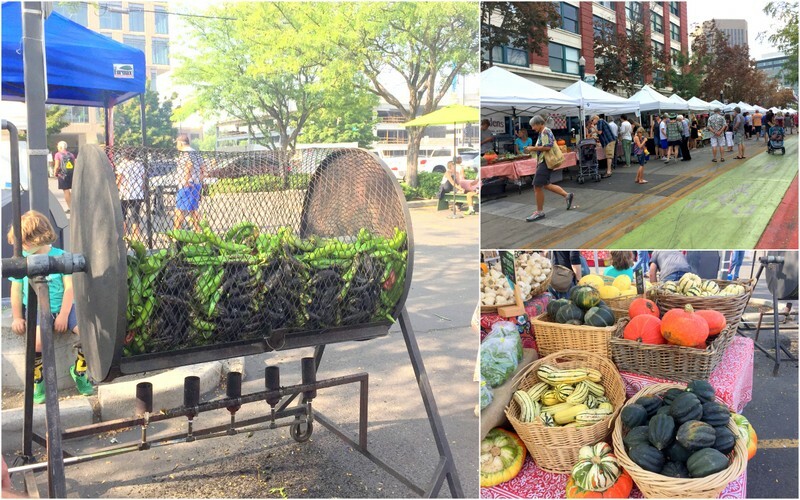 We rode our bikes to the market from the RV Park and loaded up with lots of local produce including some juicy tomatoes and ripe plums, along with a container of balsamic hummus, and the most incredible bottle of vanilla bean paste. It’s pepper roasting season! Can you smell it? It was not only our last day in Bosie but also our last day to spend with our little buddy Logan. Jill (his mom) had returned mid-week and we were slowly weaning ourselves away from this cute snuggle bug. We will miss both of them, but with the decision made to move south to Utah in search of cooler weather and some mountains for hiking, it was time to head on down the road. I too love grocery stores! It always surprises me when people say they hate grocery shopping… Maybe it’s because I love cooking, and I know you do too. That Logan sure looks like a sweetie, did he make you consider getting another dog??? I think a lot of people who hate grocery shopping probably go to the same one all the time. I love getting to visit new ones in new locations. Logan really is a sweet boy. We loved having him and would watch him again in second, but it also confirmed that we’re still happy to be without the commitment of a pet. 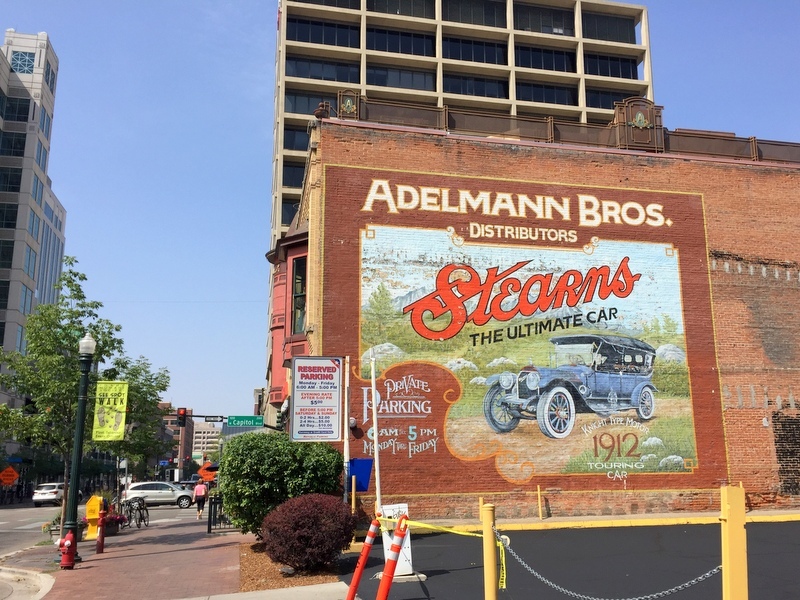 We had a blast in Boise for a week — but it was in late spring, and the weather was beautiful. So sorry you had heat and smoke. :-( We loved the great biking trails (I think we might have had the same campsite as you), the wonderful restaurants (paella on the street in the Basque Quarter, Bleubird Cafe for fabulous gourmet sandwiches/salads/and their homemade fruit and herb sodas), excellent beer at Cloud 9 nanobrewery, and a tour of the beautiful capitol building. We’d go back anytime. But not in the summer. Sounds like spring is the time to visit! I can see us going back because the RV park was really convenient, we had a great time on the Greenbelt, and we only hit up a tiny fraction of the breweries. Also, we apparently need to go to Bluebird Cafe because you’re maybe the 10th person to recommend it. Yup, it was smoky all right! Our week at Boise Riverside in one of the water/electric sites in Aug 2016 was hot and smoky, too. 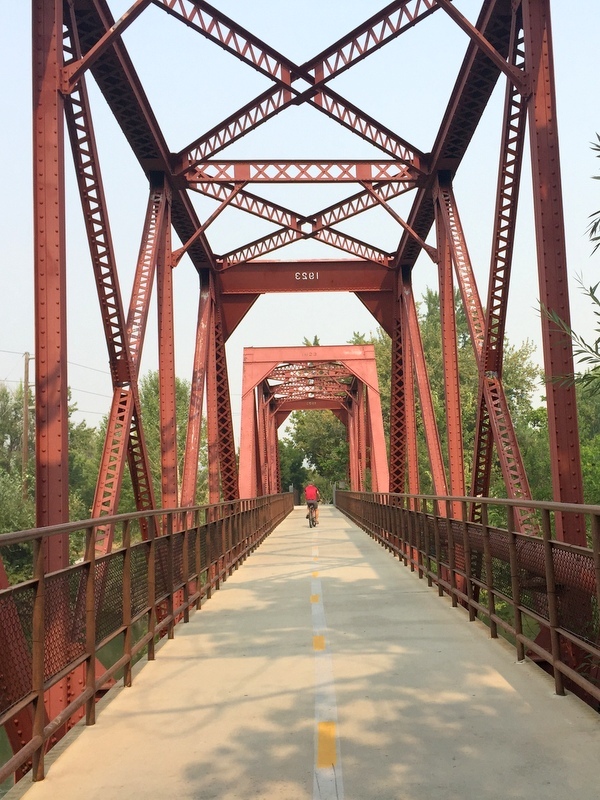 We also didn’t care for Boise as much as we thought we would but loved biking the trail and the breweries. Maybe we would have felt differently about the city if it had been clear and cooler. Didn’t know there was such a thing as vanilla bean paste! Yeah, I think we need to go back a different time of year and try again. The city certainly had some good qualities, but it also felt kind of dull. I had never heard of vanilla bean paste either and I’m now a lifelong covert. I’ve used it in cookies & muffins and it’s amazing! Grocery Hike! I love it. I used to get annoyed by always having to navigate a new store, but now I view it as an adventure. Glad I’m not the only one.